Mid January Report – What Lies Ahead? It’s hard to believe but we’re already more than half way through January. Spring will be here before you know it…just 63 days away! 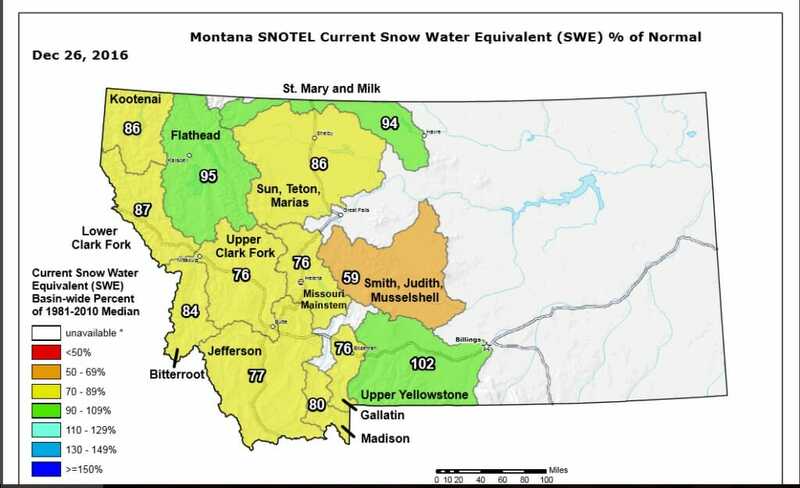 As you might expect the talk has turned to snowpack and spring flows. 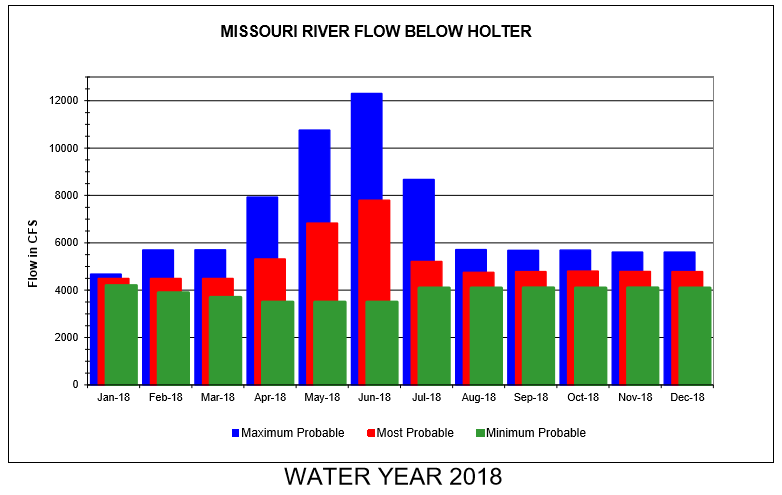 Everybody wants to know what the water situation will be when they arrive to the Missouri this spring. Per usual, our response has been non-committal but if pressed on the issue we’ll tell you we are cautiously optimistic that we will see a similar season to last year and that we are hopeful for, but not counting on, a good flushing flow in the 12,000 – 15,ooo cfs range for at least a few days. 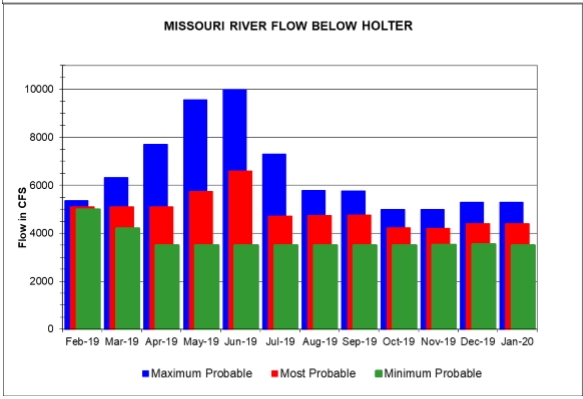 Most Missouri River blogs will spend at least a little time on flow predictions, as they should. 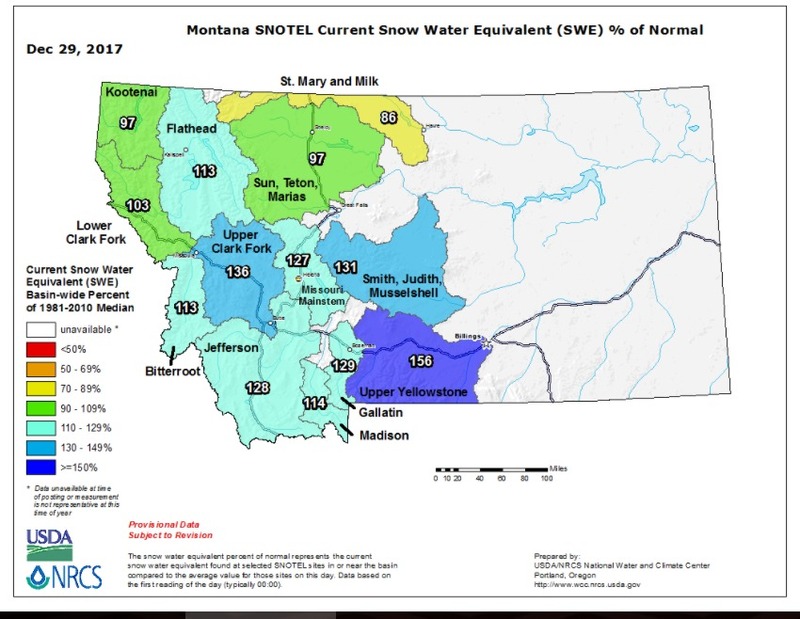 Some have already proclaimed a great season ahead based on SNOTEL Snow Water Equivalent info which does look good at the moment but which is always subject to dramatic change. Others have voiced a less optimistic outlook. We are in the camp of the moderate majority believing the glass is currently half full. The glass could remain half full, it could end up near empty, it could overflow. The data we are looking at today will change as the winter progresses. It’s important to keep this in mind when trying to predict the future but there is definitely value in keeping abreast of current conditions. 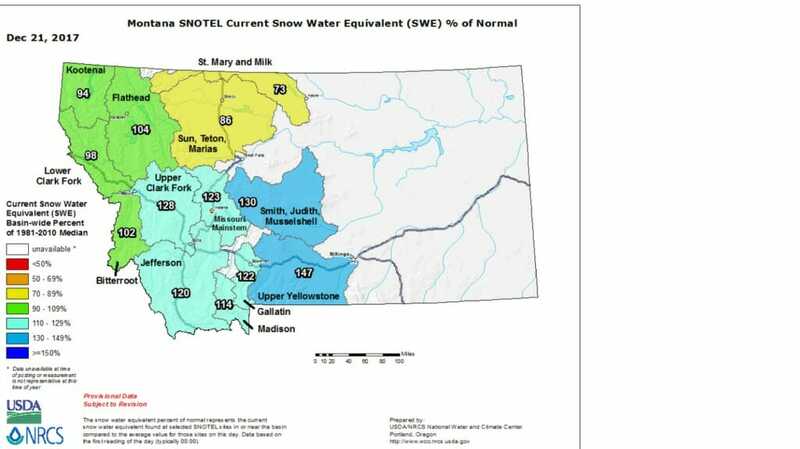 Snow pack and precipitation forecasts are elements of the map. The map is not the destination but it gets us there one way or another. 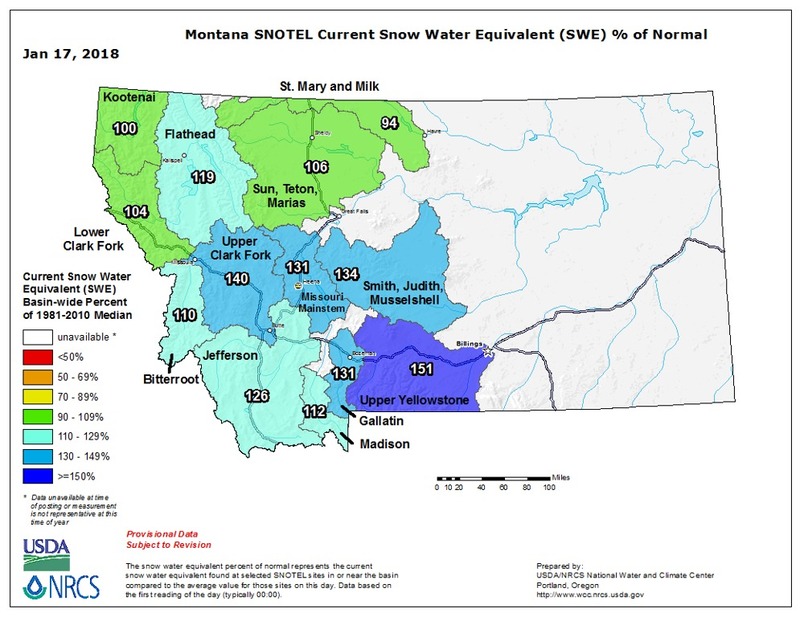 So what does this mean for your 2018 Missouri River fly fishing pilgrimage? Probably not a whole lot just yet but we will be keeping an eye on the map for you and will always be happy give your our best guess of what the spring will bring. 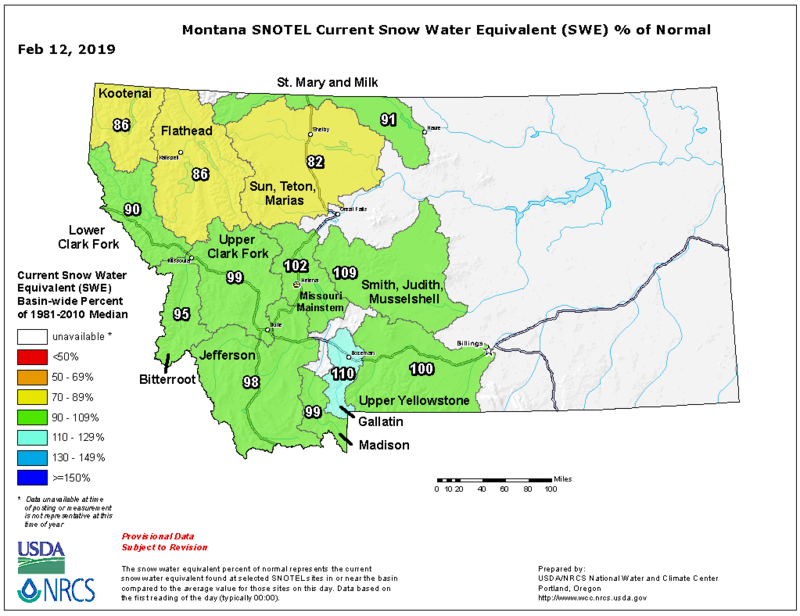 Based on today’s map it looks like the most probable outcome will be flows in 4200 cfs range for the remainder of the winter bumping up near 7000 in May and peaking at around 8000 before leveling off in the 4500 range for the summer season. There could me more water, there could be less but statistically speaking the probability is high that we will see flows falling somewhere in the range presented in this chart…or not. Our cut and paste water report proclamation….there will be water. How little or how much we don’t know. 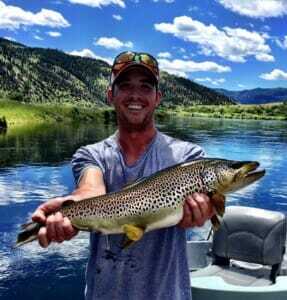 What we do know is that we will be enjoying awesome fishing on the Missouri no matter what the flows. 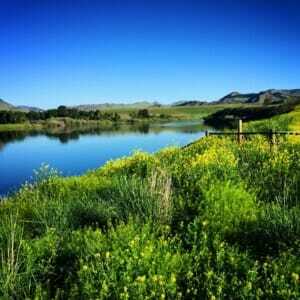 It could be better fished from a boat, it could be a wade angler’s dream, it will likely be somewhere right in the middle. We understand the desire to know so you can plan ahead but the best that anyone can do is keep a close eye on the available data and adjust one’s plans accordingly. A word of caution though, prime dates are filling rapidly and will continue to do so. 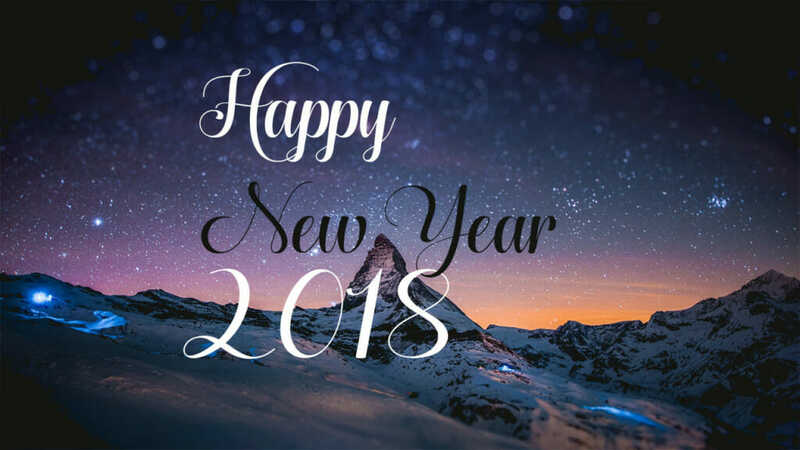 Don’t wait too long or you will end up without a room and/or a guide for 2018. Winter has arrived, right on cue. Yesterday’s winter storm delivered around eight inches of snow to Wolf Creek and temperatures plummeted into the single digits last night. Today’s gusty winds could make for hazardous travel with blowing and drifting snow and the next round of precipitation will occur tonight with 2-4 additional inches of snow expected. Well, first of all, being that today is the first day of winter (the winter solstice) starting tomorrow the days will begin to get longer. The long cold nights won’t be quite as long. You’ll barely notice for some time but just keep it in your mind that the long march towards spring has FINALLY begun. Before you know it the long days of summer will be upon us. On a related note, the snow and cold is exactly what we need. We’re building next season’s water right now so let’s keep it coming! 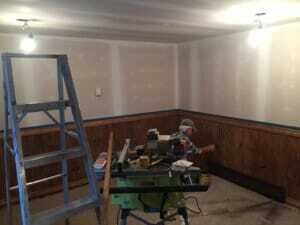 Things are looking good so far. We’ve gotten a lot of calls over the past two weeks from the hard water fishing folks wondering how the ice is on Holter. We should start to see some soon! With highs in the teens and lows in the single digits for at least the next ten days it won’t be long at all before the tent cities spring up on the lakes. 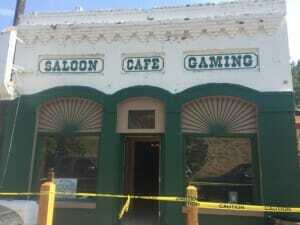 Keep us in mind for lodging if you plan on coming out. Fishing on the Missouri has screeched to a halt after some of the best fall fishing in recent memory. Shelf ice is rapidly forming as water temps plummet. Current temp is 35 degrees and it’s only going to get colder so be sure to dress for it if you plan to brave the frigid waters. I think it’s a safe bet that the fish have migrated en masse to the slow winter depths so that should take some of the mystery out of things from here on out. SLOW, DEEP WATER and anything PINK….that’s what you need to know for winter fishing on the MO’. Remember, if you still have Christmas shopping to do we’ve got multitudes of awesome last minute gift ideas. 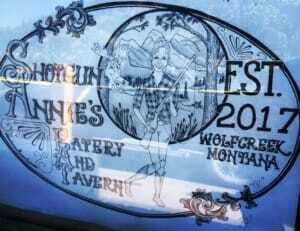 We’ll be here (weather dependent) right through Christmas Eve. If you live in Helena and don’t want to make the trip give us a call at the shop, tell us what you need and there’s a pretty good chance I can deliver the goods…free of charge. Happy Winter Soltstice! Enjoy the snow, appreciate the cold, respect the hazards and think spring! It’s the perfect time to book your 2018 fishing and lodging dates with Wolf Creek Angler. Prices are going up but if you book your 2018 dates by November 30th we will hold 2017 pricing. We’re also excited to announce our Winter Guide Trip and Lodging Special which starts next week and runs through March. Beginning Thursday, November 9th we are offering full day Missouri River Guided float trips for one or two anglers for $350 or two nights of lodging and a full day on the water for $500. That’s over a $250 savings! Mind you we’re starting trips later in the morning this time of year and with the dwindling hours of daylight you’re getting a shorter trip but you won’t find a better deal anywhere. Some aren’t offering winter trips at all, others are offering them at full price. We’re offering two nights of lodging and a full day on the water for one or two anglers for less than what you’ll pay just for your guide trip elsewhere. Keep in mind also that while the lodging tax is always in effect, the resort tax is about to go on hiatus until April so that’s an additional 3% savings on EVERYTHING beginning November 15th. Lodging, Guide Trips, Shuttles, Flies, Simms sportswear and accessories, Drift Boat Rentals…..EVERYTHING! And the best part of the deal? No cancellation fees! When you book a trip during the season you are locked in and under most circumstances you will end up losing your 50% deposit if you cancel. That’s not the case now. Winter can be a challenging time to book a trip because the weather can change without notice and while we don’t mind being on the water in sub-zero conditions we realize that this isn’t for everyone. Winter fishing on the Missouri can be downright fantastic. It can also be slow. It’s fishing! We’re concentrating primarily on nymphing and streamer fishing right now though there are occasional dry fly opportunities as well. As we move into December and into the heart of winter fishing those dry fly opportunities will dwindle but will return in the late winter as midge fishing becomes a viable option. Winter fishing is not for everyone but once that cabin fever begins to set in a day on the Missouri might be just what the doctor ordered. 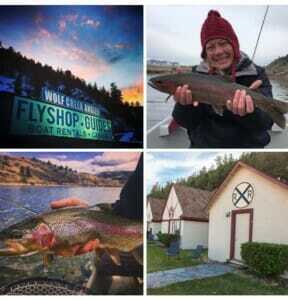 Things are quiet in Wolf Creek and Craig for the winter months but we do have Shotgun Annie’s for dining and night life; The Canyon Store for gas, groceries and a great Montana Microbrew selection and of course Wolf Creek Angler for all of your Missouri River Winter Fly Fishing Needs. We’ve got more on-site lodging than anyone, the best winter bug selection around and all the cold weather gear you’ll need to eliminate being cold from the equation. 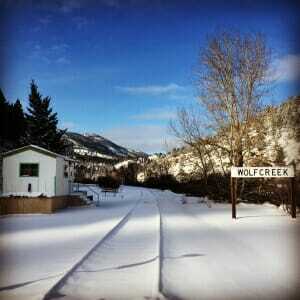 We hope to see you soon for HOT fishing on COLD days with Wolf Creek Angler. Just back from my annual autumn wandering weekend in the Flathead feeling well rested, refreshed and ready to finish this season out strong. Fall is an awesome time for road trips. It’s the season of the harvest offering great fishing and hunting opportunities as well as a spectacular display of nature’s bounty. The radiance of autumn leaves contrasted with bright blue skies or high country snow or brooding grey clouds….it doesn’t get any better does it? Fall has always been my favorite season and for whatever reason I have a lifetime of memories (good and bad) which burn brighter than most against the backdrops of fall. The smell of burning leaves on crisp October nights or heavenly mesquite or apple wood smoke billowing from the smoker on cold rainy mornings after the hunt. The crunch of frosty ground underfoot while navigating the dark deer woods. October baseball, November steelhead, lazy football Sundays, apple orchards, pumpkin patches, venison, campfires and road trips through the autumn landscapes. These are a few of my favorite things! I often mourn the exit of summer during those first weeks of fall but as October arrives the sadness goes away and I embrace the awesomeness of autumn. For as long as I can remember we’ve celebrated fall with a road trip. 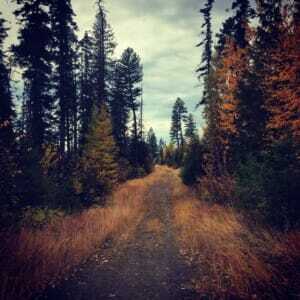 The U.P., Mackinac Island, Traverse City, Bannack, Glacier and Yellowstone…they all go great with autumn. The sun is shining on the Missouri today and it seems the wind has gone away for the time being. Great weather for fall fishing this week with plenty of sunshine and highs in the 60’s. The next chance for any weather looks to be Thursday with a slight chance of rain or snow in the morning but aside from that it’s looking like blue bird days right on through the weekend. It could be the perfect opportunity for you to do some fall wandering of your own and if you’re going to do it why not wander to the Missouri where you can not only get your fall fix but you can also get in on some of the best fishing we’ve had all year. It’s definitely been a fall to remember where the fishing is concerned and it should remain great well into November. We’ve got plenty of lodging available and guides are at the ready, having reached the end of their busy season and wanting to do whatever they can to prepare for the long winter ahead. The shop is fully stocked with cold weather gear from Simms and Redington, hand warmers, streamer lines (and streamer sticks), the largest selection of Missouri River fall flies ever gathered under one roof in Wolf Creek Montana, Adipose and RO drift boat rentals (including a brand new Project Healing Waters Adipose boat available free of charge to all active duty and vets of the US Armed Services), Wading gear from Redington and Korkers and much more. Wolf Creek Angler is your Missouri River fall fly fishing destination. We are pleased to announce that starting this weekend we will have a brand new Project Healing Waters Adipose Flow Drift Boat available to all US Military Active Duty and veterans FREE of charge. Wolf Creek Angler has partnered with Montana Project Healing Waters, Adipose Boatworks and Headhunters Fly Shop to expand this popular program which up until now has been administered exclusively through Headhunters in Craig. 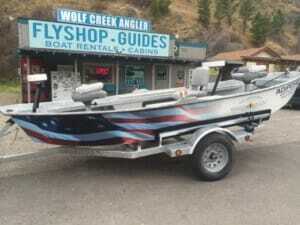 Now with one boat at Wolf Creek Angler in Wolf Creek and two at Headhunters in Craig we will be able to accommodate even more vets. 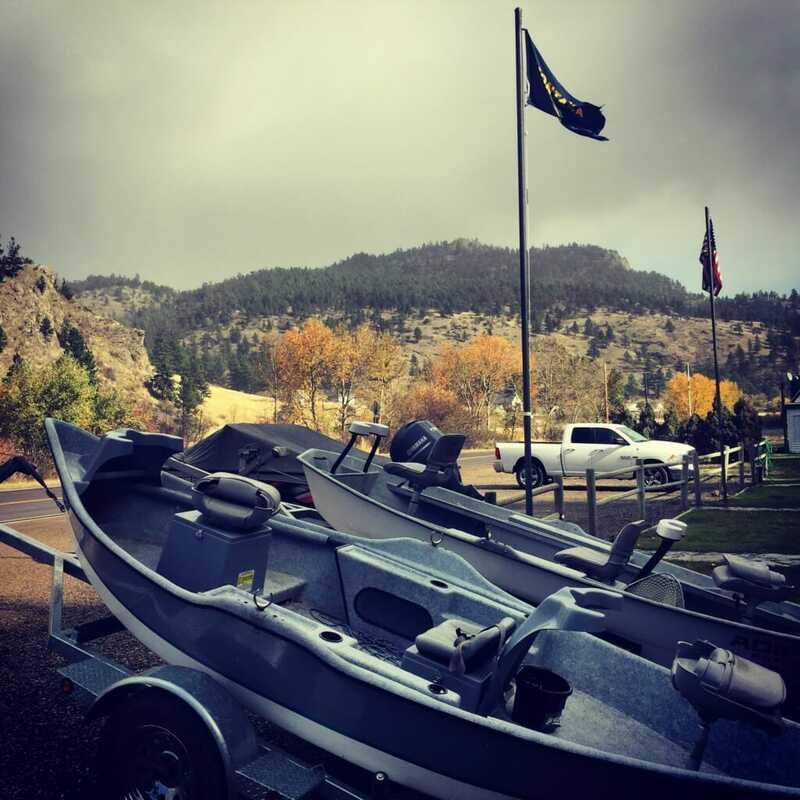 If you are a vet or an active duty US Military member you qualify for a free rental boat courtesy of Project Healing Waters, Helena Chapter. 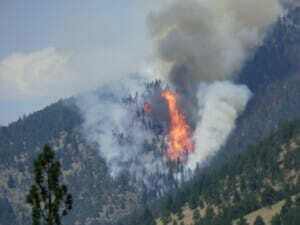 The boat is available every day of the year and can be reserved by giving us a call at 406-235-4350. You should bring your own vehicle with a hitch and 2″ ball. The use of the boat does not include your vehicle shuttle. If you need the boat launched and retrieved, you can make arrangements with us for a small fee. We are proud to participate in this program and we fully support PHW and the outstanding work they do to serve all of those who have served all of us. 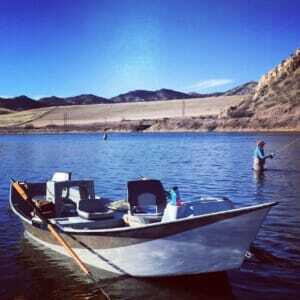 We encourage you to take a minute and check out the Project Healing Waters web site. They do amazing work dedicated to the physical and emotional rehabilitation of disabled active military service personnel and disabled veterans through fly fishing and associated activities including education and outings and they are always looking for help.